There have been few images more powerful at this summer’s World Cup than that of Lionel Messi, standing forlorn, disconsolate and alone after Argentina’s chaotic second-round exit to France. Many were quick to pronounce it a symbolic end for Messi – the last swansong of one of the game’s iconic figures on the world stage, and the passing of greatness from one generation to the next, with Kylian Mbappé having announced himself to a global audience in such spectacular fashion. While such proclamations are undoubtedly exaggerated – Messi, clearly, is far from a spent force, and it would be a bold man who bet against him returning for Qatar 2022 – the moment did carry a broader significance for Argentine football as a whole. As Messi (31), Ángel Di María (30) and Sergio Agüero (30) trudged off the pitch at the Kazan Arena, it was hard to escape the sense that this was a generation reaching its endpoint, and, more pointedly, doing so without having won a single trophy. It is astonishing to think that, despite the attacking riches on offer to a succession of Argentina coaches over the last 15 years – apart from those mentioned above, La Albicelestes have been able to call upon such stellar names as Gonzalo Higuaín, Paulo Dybala, Ezequiel Lavezzi, Mauro Icardi, Carlos Tevez, Diego Milito and Javier Pastore – the only trophy they have claimed since 1993 is an Olympic Gold in 2008. Admittedly, these have hardly been years in the wilderness for Argentina – there are not many countries that would sniff at their record of three major finals over the last four years – but it is hard to dispel the notion that this generation could, and should, have achieved so much more. If this heralded generation of players is indeed coming to an end, then perhaps of greater concern to Argentine football is that there does not appear to be one ready and waiting in the wings to take over from them. It was never going to be easy, or even possible, to replace Lionel Messi, but it is hard to see where the next Javier Mascherano is coming from, or even the next Nicolás Otamendi. Argentina’s youth-level football was once its pride and joy, but the supply lines have dried up in recent times to the extent that the players coming through don’t look fit to take over the mantle. Between 1995 and 2007, primarily under the tutelage of now-Colombia manager José Pékerman, Argentina won five out of the seven under-20 World Cups on offer. In the 11 years since, their record reads one quarter-final, two first-round exits, and two failures to qualify. The contrast is stark and, rather than a temporary blip, it seems more like a worrying illustration of the manner in which the country’s youth development has waned. The reasons behind this decline are complex and manifold, but the one overriding factor, the one thing that Argentina’s critics keep coming back to, is a lack of a long-term vision. Whilst some in England will have grown tired of FA employees using soundbites like ‘footballing DNA’, ‘golden thread’ and ‘consistency of message’, there is an acceptance – one borne out by our relative success at this summer’s World Cup – that this overarching philosophy is necessary in order to succeed at international level. The countries that have had the most joy in international football over the last decade – particularly Spain and Germany – are those who have devised and implemented a long-term strategy for a way of playing, one which runs right through the youth teams and all the way up to the senior squad. Indeed, another cringeworthy FA favourite is ‘the only thing that changes is the size of the shirt’. The importance of such long-term planning in international football cannot be overstated – it’s the reason why Iceland, with a population of 330,000, can reach the quarter-finals of the European Championship and qualify for the World Cup ahead of traditional footballing superpowers like Italy and the Netherlands. England have finally started to take note of such trends and have made a concerted effort to borrow from the Spanish and German methods, focusing primarily on a consistent football education throughout all levels of the game. And, while it’s easy to laugh at some of the jargon that goes along with it (some of which veers dangerously close to David Brent territory), the FA are already starting to reap the rewards of this approach, with England’s semi-final exit in Russia preceded by success at under-17, 19 and 20 levels. So how and why have Argentina failed to plan for the long-term? 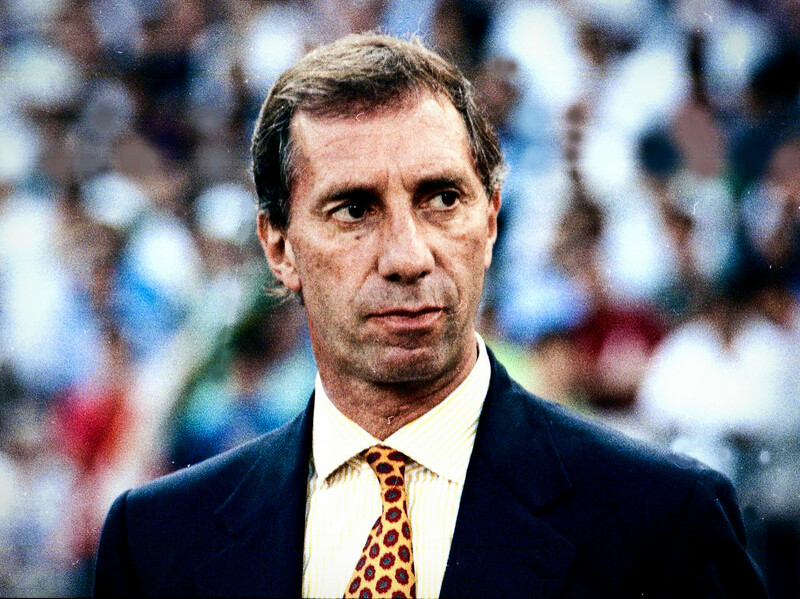 In a recent article for The Guardian, Argentina legend Jorge Valdano wrote: “We always had too little money, organisational ability and vision – and, in our arrogance, too much confidence in our status as a predestined footballing power.” Whilst the economic realities of a country in turmoil have undoubtedly played a significant part, it is the latter point that is of greater interest initially. 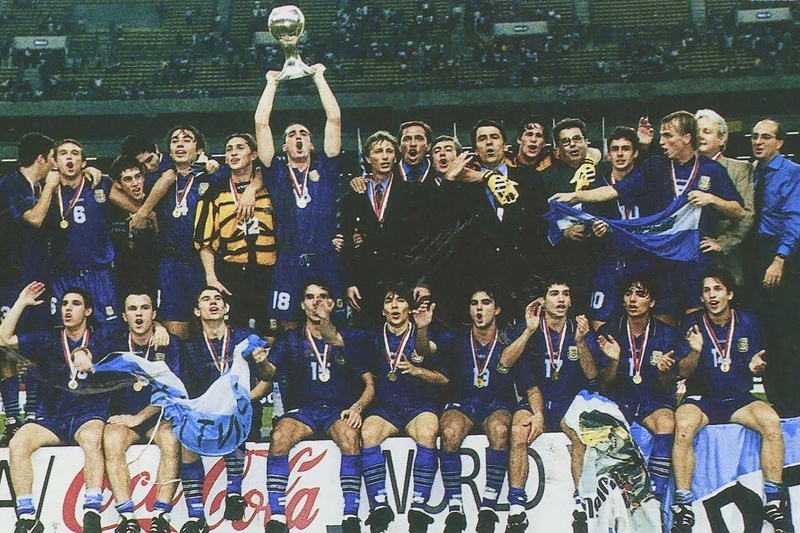 Tim Vickery has spoken in similar terms about Brazil during their fallow years after the 2002 World Cup, arguing that they had begun “to believe their own myths about innate natural talent.” Complacency has almost certainly been a factor with Argentina as well, with the AFA taking their eye off the ball during the end of their golden period at youth level, believing that the work had already been done and that the production line would be never-ending. To a certain extent, who could blame them? When Messi won both the Golden Ball and the Golden Boot at the 2005 under-20 World Cup, in a team also containing Pablo Zabaleta, Fernando Gago, Ezequiel Garay and Sergio Agüero, it must have been tempting to believe that a period of international dominance was on the horizon. It is arguable that, during this period, resources and attention were shifted away from producing balanced, competitive youth teams, and focused instead on monetising the glut of attacking talent that was coming through the system. This is where the significance of Argentina’s economic crisis can be seen most clearly. The country’s top clubs don’t enjoy anything like the riches on offer in the Premier League – or LaLiga, Serie A or the Bundesliga for that matter – and rely principally on the export of youth products to Europe in order to survive. This led Argentina to teams that were, according to Smith, “almost comically front-loaded”, meaning that, during this summer’s World Cup, world-class players like Agüero, Higuaín and Dybala sat on the bench, while ordinary defenders like Marcos Rojo and Gabriel Mercado were undisputed starters. Ultimately, though, the economic turmoil that Argentina has faced over the last decade has meant that long-term planning has been a luxury they simply couldn’t afford. Decisions have all been taken with short-term financial objectives in mind, with longer-term goals being sacrificed in the process. There are, however, positives to be found amongst the doom and gloom. 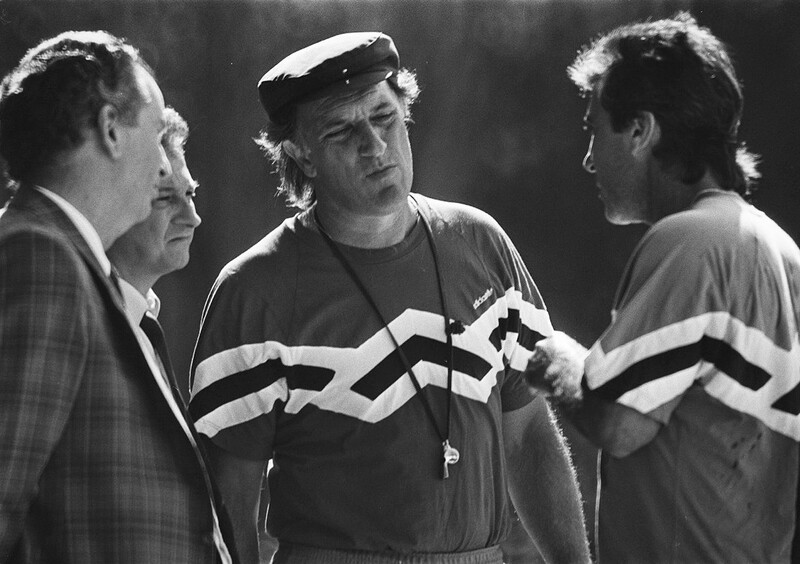 Many commentators believe that the AFA are now starting to go back to some of the principles that served them so well during the Pékerman years. There was much optimism in Argentina about the appointment of Juan Sebastián Verón as head of the youth system, and there are signs already that a greater integration between the youth teams and the senior set-up is being implemented. Furthermore, the AFA itself, for so long beset by corruption, mismanagement and a chaotic lack of organisation, appears to be on the path to redemption, with many believing that the mistakes of the past have now been left behind. There are still some talented players coming through as well, with Cristian Pavón impressing in spells in Russia, and young talents such as Lautaro Martínez, who recently signed for Internazionale, continuing to emerge. 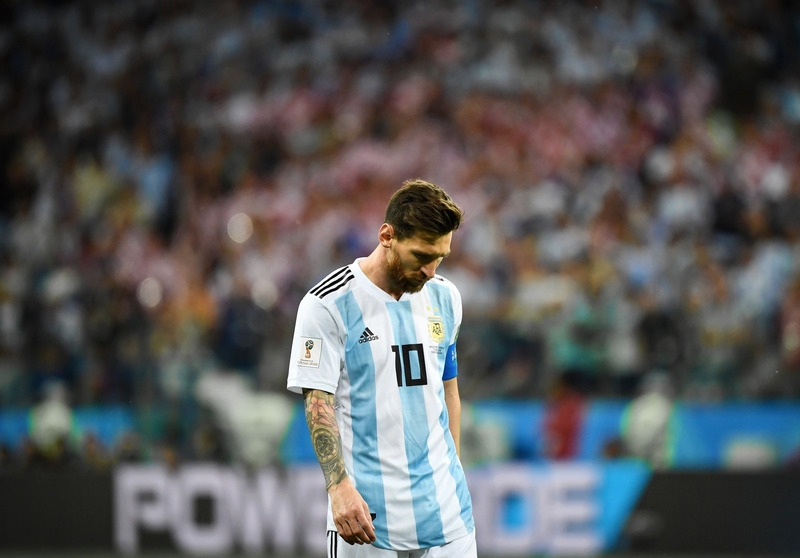 Nevertheless, the mind still goes back to Messi, Di Maria and Agüero, to the sense of a wasted opportunity, and, most of all, of a wasted generation, the likes of which Argentina may not see again for a while.